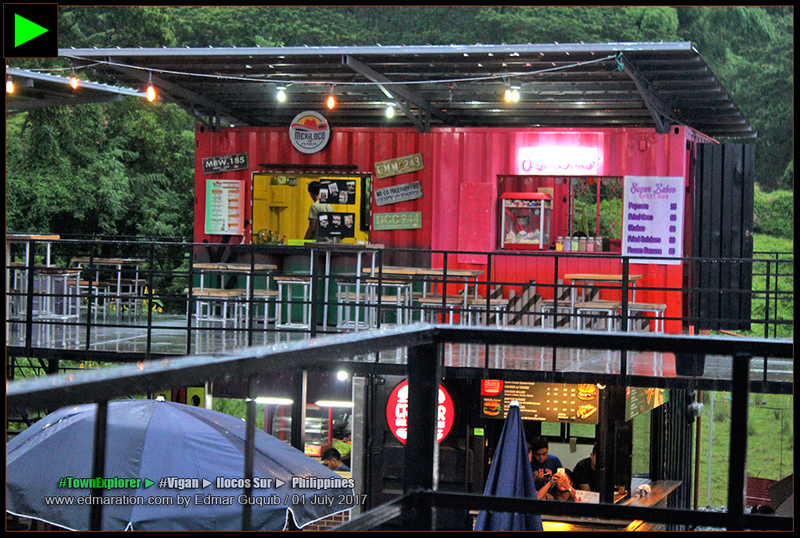 The food park has an open square enclosed by cargo containers piled into two layers with food stalls and restaurants occupying the cargo container spaces. ✈ It was a welcome treat for me after staying away from my hometown longer than the usual. ✈ This was more than just a dinner, of course. It's a moment of reminiscing the eight-year relationship we had as colleagues in the nursing services of our hospital. I realized I missed my old job badly that I had this emotional surge of wanting to go back. 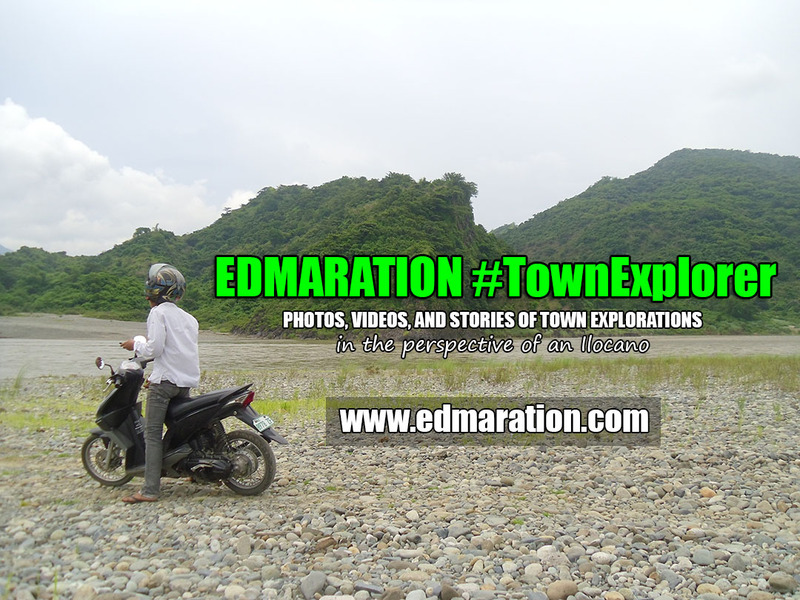 There's a great new addition to Vigan's ever growing food, dining and tourism industries. 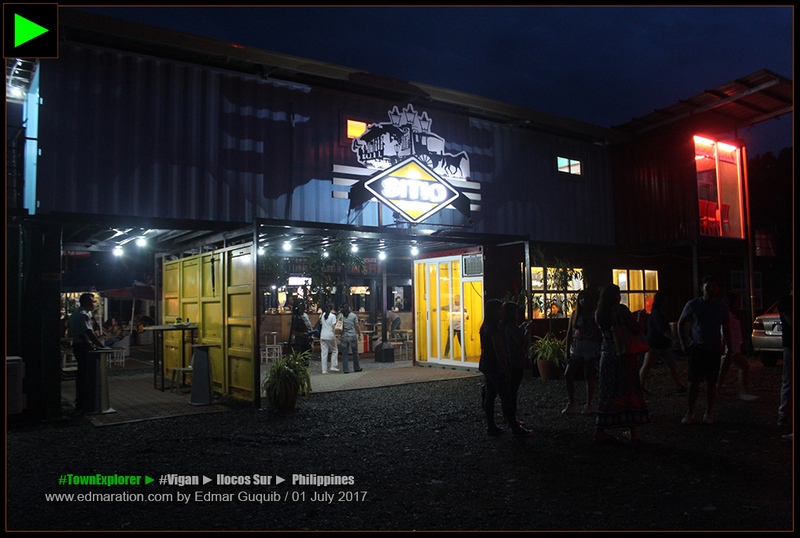 A food hub just opened last April in Tamag called the Sitio Food Park with the claim of being the first urban food park in Northern Luzon. The food park has opened about three (3) months ago but I had no enthusiasm to join the hype that time. It was maybe because I'm tired and sick of all these first-day hypes with the opening crowd that could no longer handle the curiosity and excitement. I know it would be hard for me to achieve a relaxing moment if I'm gonna join a frenzy of crowd that couldn't wait to post an update on social media. I opted to let the force subside so that I could have my own moment when everything has returned to normal. So yes, that's the reason I never visited the food park. 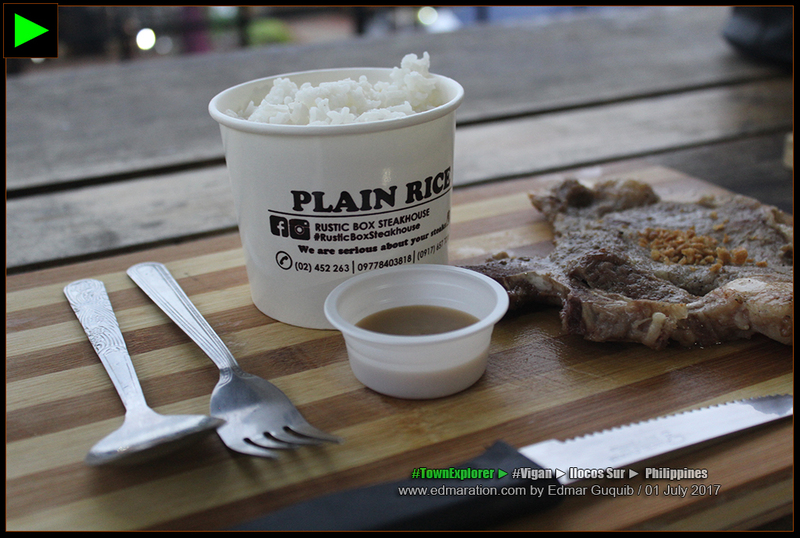 [VIGAN] ► WELCOME TO SITIO FOOD PARK! I'm no longer staying in Vigan often because of some life hacks that I applied and career twists that are so inviting after I resigned from my nursing job in Vigan about 10 weeks ago so the opportunity to visit the said food park was rare until last week when my former chief nurse invited me to have a dinner with them. It was a welcome treat for me after staying away from my hometown longer than the usual. Reaching the food park was a drizzly welcome followed by a sudden heavy downpour that didn't last for long. 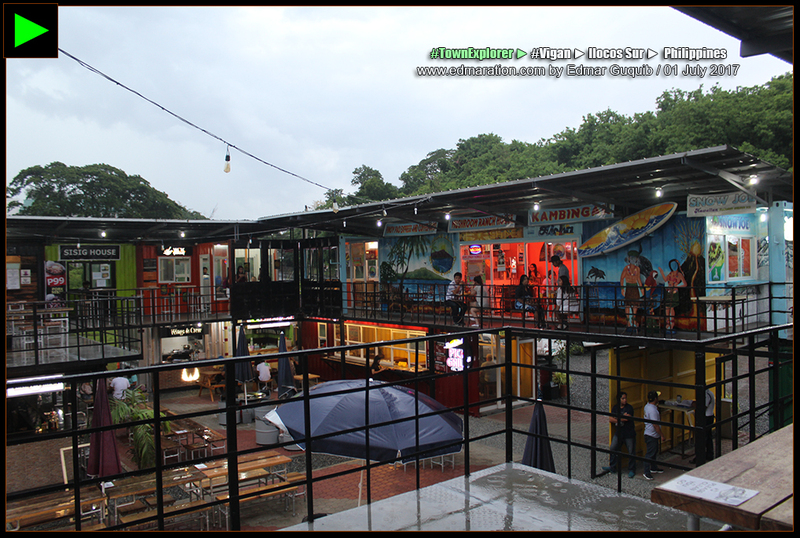 The food park isn't waterproof obviously but if you would use your common sense, you could still have a sumptuous meal without getting wet. What we did was to climb the stair and stay at the second level. The rain didn't stop yet but we were able to secure a place that would allow us to stay dry. 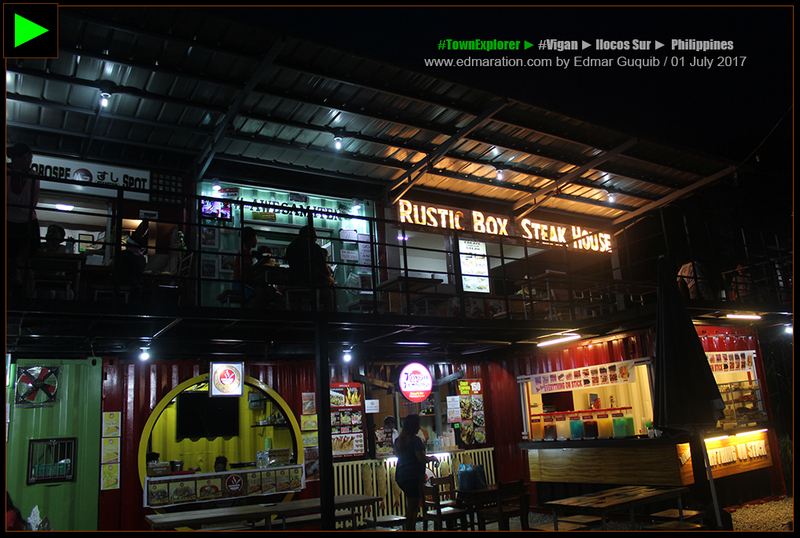 My colleagues chose to bring me to the Rustic Box Steak House. I didn't know why they chose it but I was more than grateful that someone paid for my meals that night. They ordered a porterhouse for me and it was so juicy, tender and big—perfect for building my muscles since I've returned to chiseling my body at the gym after random comments and soft bullying that I'm so thin. 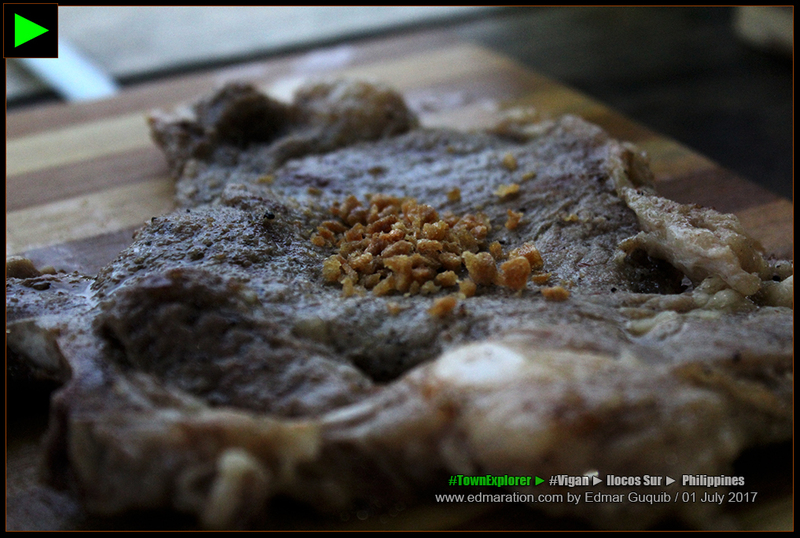 1 | [VIGAN] ► This life will offer you many choices and you could never tell which is the best unless you tried them all. 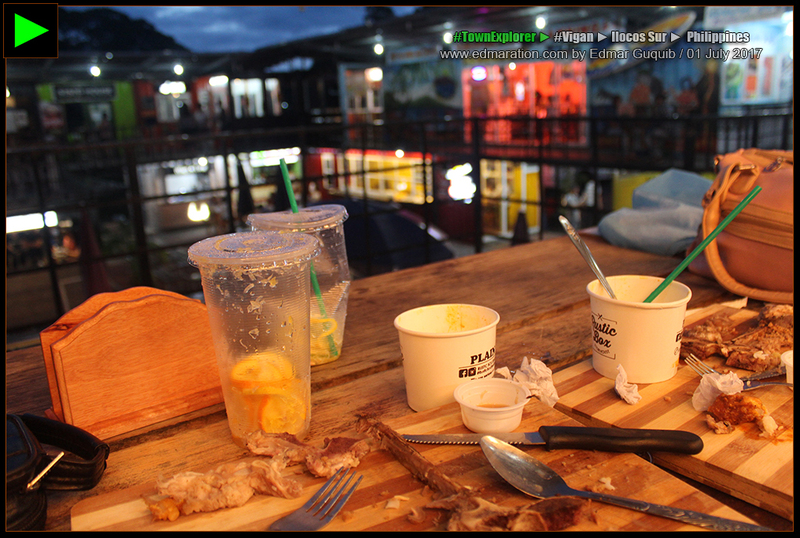 2 | [VIGAN] ► This is the mess of happiness. 3 | [VIGAN] ► If you make things complicated, then it's complicated. Use your hands. Eat the food. Enjoy as simple as that. This was more than just a dinner, of course. It's a moment of reminiscing the eight-year relationship we had as colleagues in the nursing services of our hospital. I realized I missed my old job badly that I had this emotional surge of wanting to go back. On the other hand, I learned that one of my colleagues who was also with me that night has pursued her plan to work in Saudi Arabia. Her reason? I don't know and I believe it's a personal decision she has to make. It's the same thing with me. I left my old job because of personal decisions too. How I wish to stay there longer but it's human nature that we want to achieve more. Me, I just wanted to grow and pursue my passion and goal of traveling the world. The rain has stopped but not our conversations. 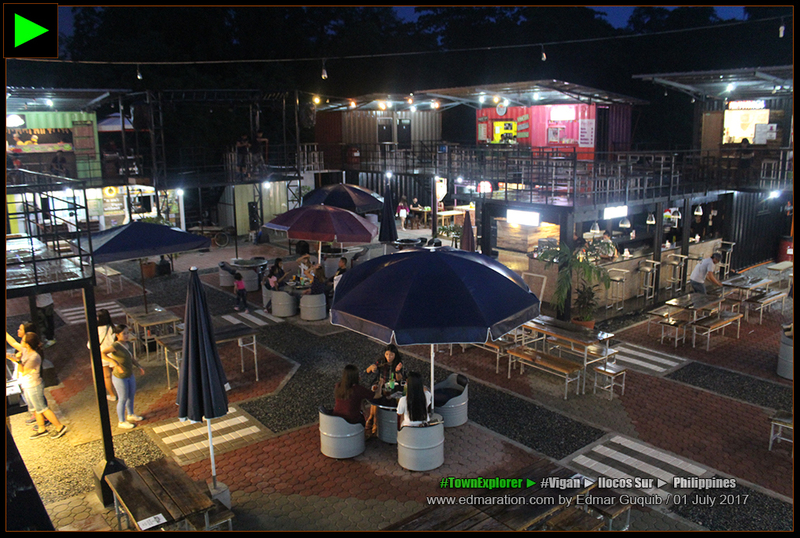 The sky dimmed but the food park lightened as bulbs, lamps and smiles brightened up the space once consumed by darkness. 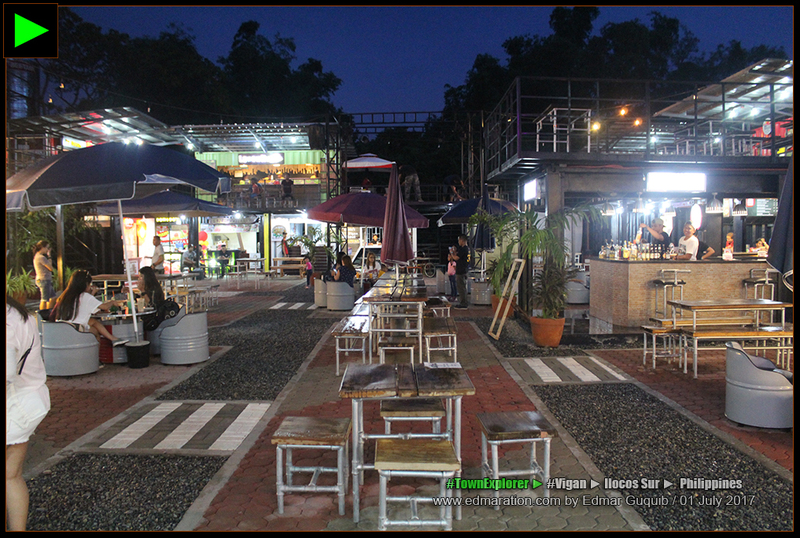 The Sitio Food Park is located in Barangay Tamag of Vigan, just along the Quirino Boulevard after the Ilocos Sur Provincial Hospital-Gabriela Silang. As far as my memory is concerned, the present location of the food park was the same location proposed for the construction of a fancy hotel with the perspective already on display. However, the proposed project has gone in the wind. 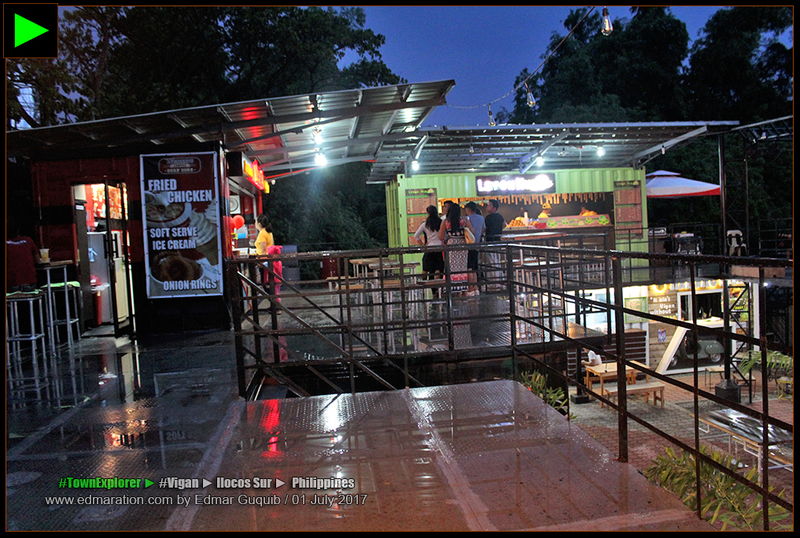 After more than a decade, this project came out—the Sitio Food Park. The location used to be a green space I've always adored everytime I passed by this area. It was surrounded by lush thick vegetation of trees, shrubs and maybe herbs that made me felt like I was so close to nature. 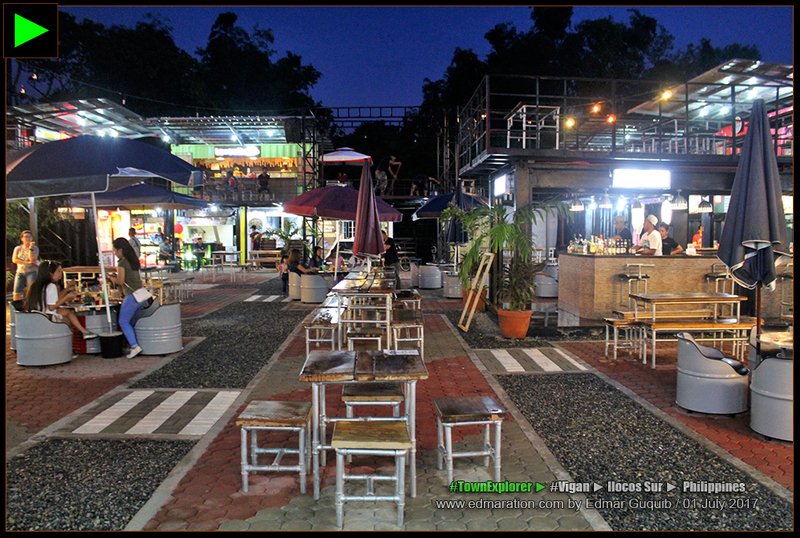 The green space is already gone upon the birth of the Sitio Food Park. 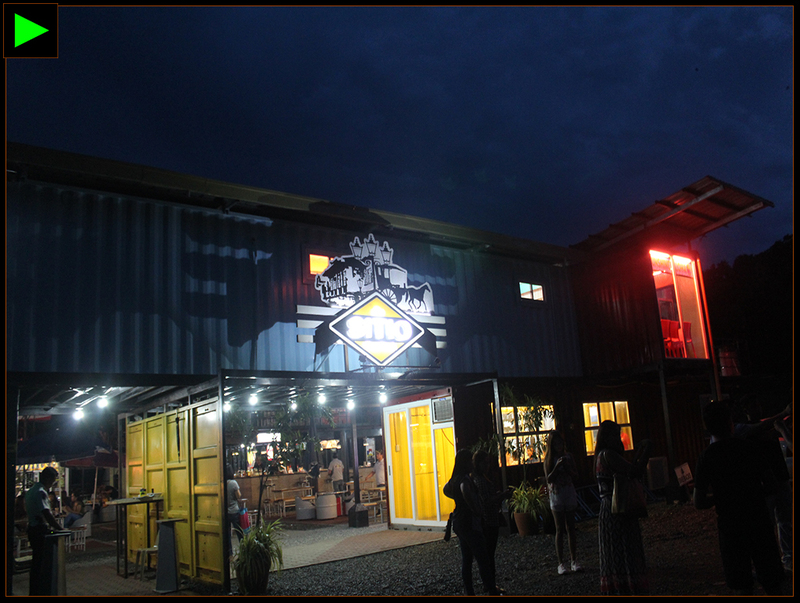 The food park has an open square enclosed by cargo containers piled into to two layers with food stalls and restaurants occupying the cargo container spaces. 1 | [VIGAN] ► Innovation is here. 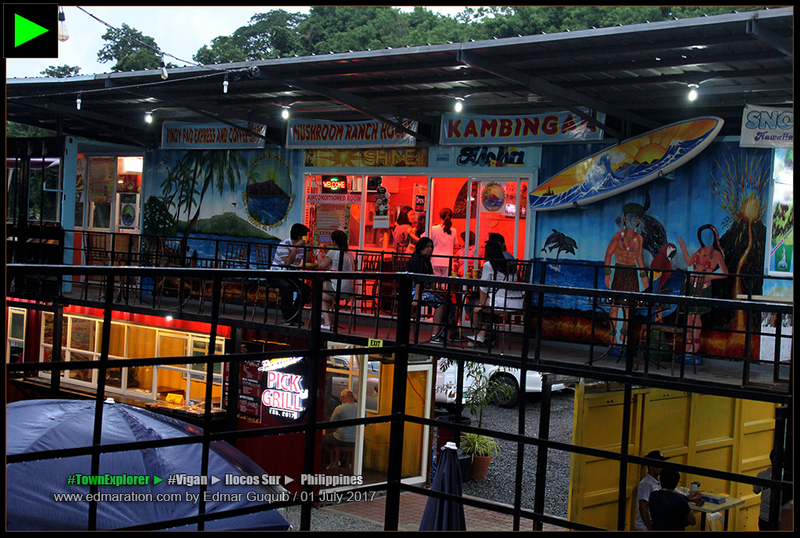 Sitio Food Park is said to be the first of its kind in Northern Luzon. 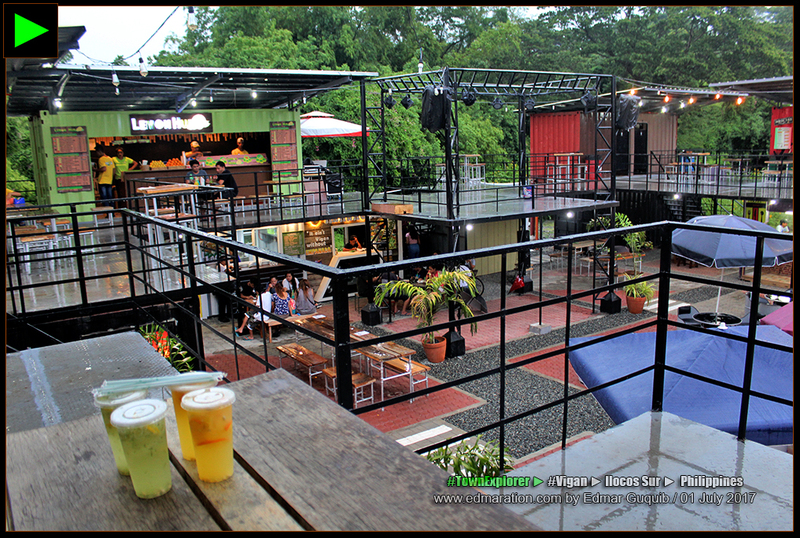 2 | [VIGAN] ► Lush thick green vegetation surrounds the Sitio Food Park. The area used to be an open green space. 3 | [VIGAN] ► Rainy days are young. We can still consume our chilled overprized juice. 4 | [VIGAN] ► One layer of courage is safer yet seemingly dispassionate. Double layer of courage is more adventurous and commanding. 5 | [VIGAN] ► Images and colors could speak a thousand words. In the middle is like a concert ground with a performance stage at the western part of the park. It opens from 10:00 AM up to 2:00 AM the next day. The center square is an open space. The ground was designed with adorable tiles of pleasing patterns with dining tables and chairs on it. 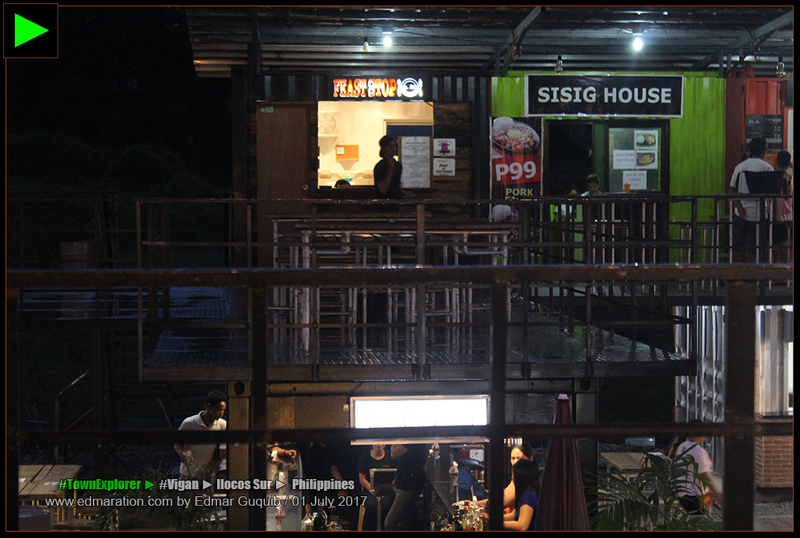 The Sitio Food Park is near the Baluarte Zoo of Chavit Singson and less than 1 kilometer to the next municipality (Caoayan). For first-time visitors, get an extra cash since the prices here were marked-up higher than the average. Party drinks are available and you have a wide array of choices in terms of what food to it. There is also a concert stage for live band performances so expect that this food park would have a party atmosphere starting 10:00 PM onward. The light faded, creeped to oblivion. The chatter, laughter and occasional silence made time ran so slow that we didn't notice it was already dark. 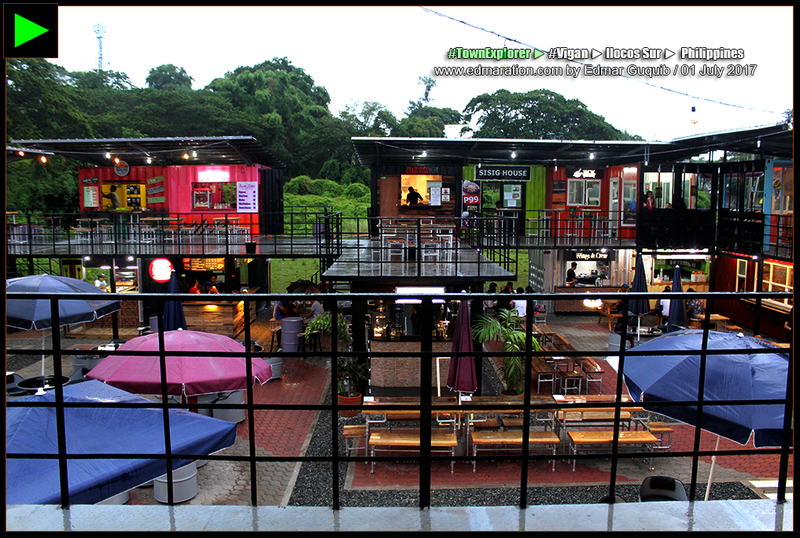 More people gradually occupied the spaces of the food park from the ground to the structures. 1 | [VIGAN] ► Oh night sky. Why so full of soul? 2 | [VIGAN] ► Collective beauty exists. See the tiles. 3 | [VIGAN] ► The sky masterpiece is incomparable. 4 | [VIGAN] ► There's up. There's down. 6 | [VIGAN] ► Millennials are everywhere. 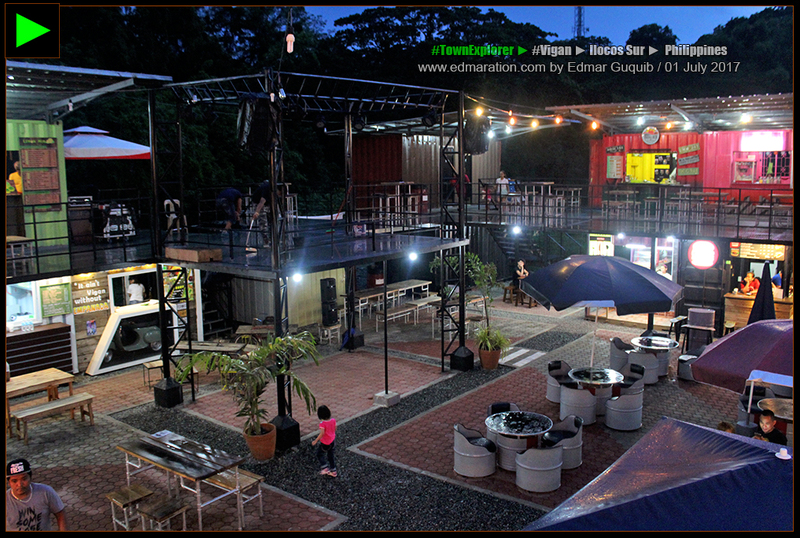 5 | [VIGAN] ► Sitio Food Park has a concert ground. How to Go or Commute? The tricycle terminal for Tamag (UNP TODA) is located in front of the Vigan Public Market near the Jollibee Vigan Market. Fare should be 10 pesos per head if there are at least two passengers but since this is a trike terminal, they will wait until the trike is full (four heads) unless you will pay for the other slots. Vigan is known for infamous tricycle drivers who would charge you more than what the city ordinance mandates. Inside the tricycle is a sticker with the schedule of fares in Vigan. If you are wise, don't negotiate with the driver. Just ride and pay after based on the schedule of fares. If they insist you to pay more, you might opt to report them at the Vigan City Hall. 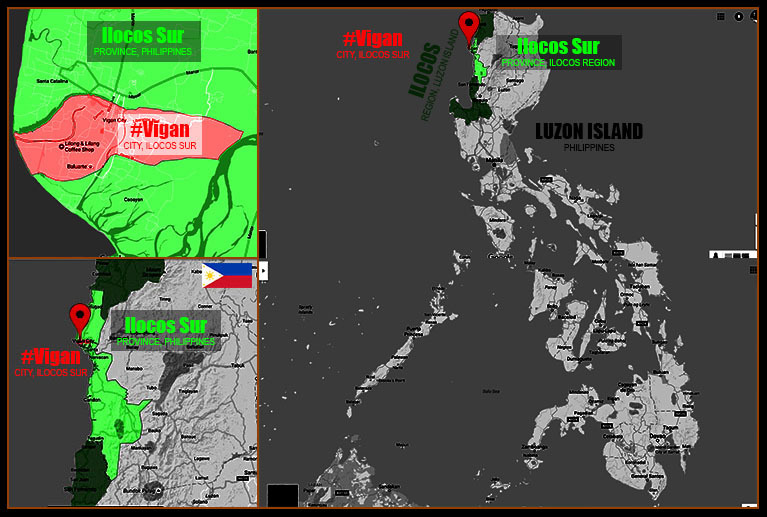 Basically, you can get a trike anywhere from Vigan. The same fare applies when you get a trike anywhere as long as it's inside the poblacion. However, if you took a trike from the residential districts of the Vigan poblacion, they might charge you higher and it's your choice if you're going to agree or not with the amount. As I said, you could just ride and pay after based on the schedule of fares posted inside the trike. Some trikes might not post it though so beware. You may request the schedule of fares at the city hall. Proceed to the information desk and tell them you're a tourist. If you came outside from the poblacion or from another town (say for example Bantay), this is outside the scope of the ordinance. Normally, if you came from a point that is just near the Vigan border, fare should be from as low as 30 pesos up to 50 pesos per trike if you're alone. 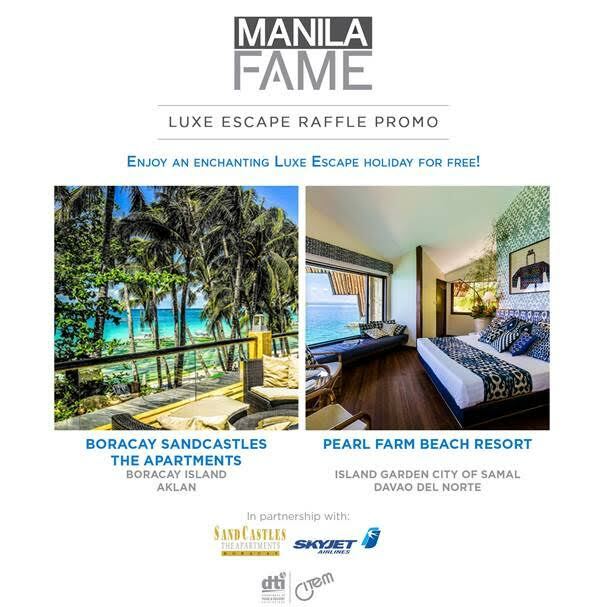 If there are at least two of you, fare should be at least 15 pesos to 25 pesos each head. Take note that night fare is more expensive than what I mentioned here. 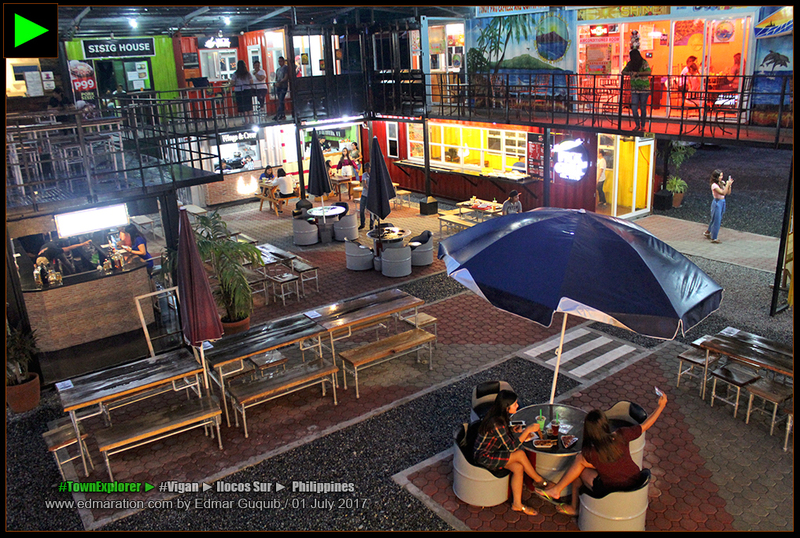 For me this is a great addition to Vigan's roster of restaurants & food hubs and... I would claim this as an additional tourist attraction. It's a millennial-savvy destination I think. More than that, I would like to believe that this food park will serve as a stimulus to that area—I'm referring to economic activity. The area is a dead economic zone and I hope other investors would follow soon so that this area will also develop economically. What do you think? ✈ This post was filed under the category "Food Destinations." See more posts related to this below.